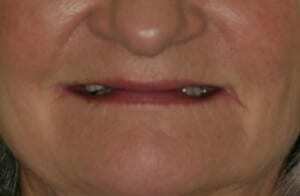 This patient hated her denture for a very long time and was interested in all options for replacement of teeth. 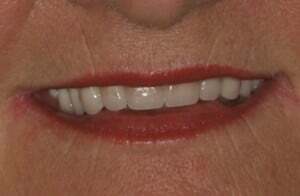 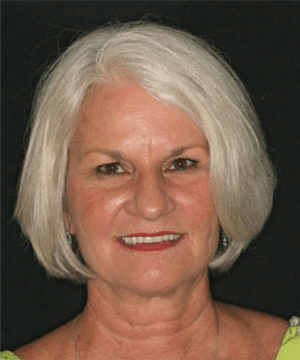 We made her a new upper denture and lower partial denture. 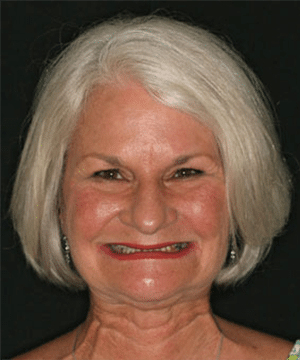 She received a beautiful new smile with ideal facial and smile proportions.